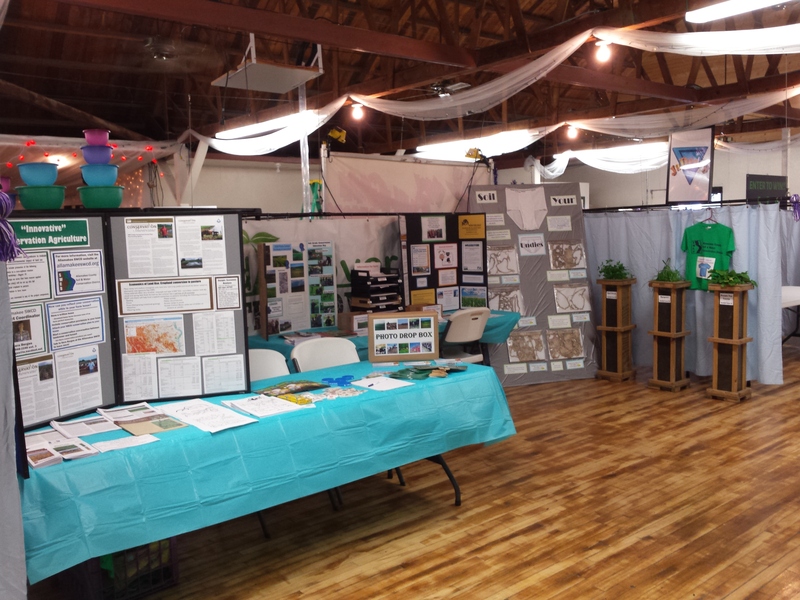 Thank you to everyone who stopped by our booth at the Allamakee County Fair, July 20-24. We had a great turnout and enjoyed getting to visit with attendees. We congratulate the 5 t-shirt winners and the 1 winner of $150 towards cover crop seed. On display this year were three cover crop boxes. The boxes have removable boards in the side to reveal clear sides that allow you to see the plant roots. The boxes were planted to individual crops including red clover, annual ryegrass, and purple top turnip. These are just a few examples of potential cover crop species. Each of the boxes had at least 18″ of growth in about 5-6 weeks of time in full sun. They were watered every 3-4 days. The biggest eye-catcher this year was the “Soil Your Undies” display on loan from the Winneshiek SWCD. They buried six pairs of underwear 2 inches deep into different fields. The fields had different management systems. After six weeks, the undies were unburied, washed, dried, and re -weighed. The percentage decomposed can be used as an indicator of the amount of biological activity in the soil. The results can be found here.